How much is Zachary Levi Worth? Zachary Levi New Worth And Salary: Zachary Levi is an American actor who has a net worth of $12 million dollars. 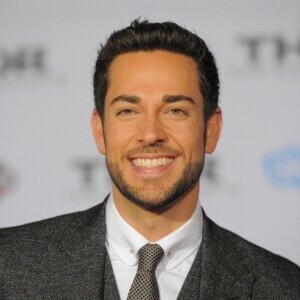 He was born Zachary Levi Pugh on September 29, 1980 in Lake Charles, Louisiana. Zachary started acting in school and local community theater productions. After graduating high school, Levi starred in regional productions of Grease, The Outsiders, Oliver, The Wizard of Oz and Big River. Levi spent the early 2000s appearing in made-for-TV movies and appearing on various shows including Curb Your Enthusiasm and a short recurring role in the crime drama The Division (Lifetime 2001-04). He landed his first real television break when he was cast in the role of Kipp Steadman, a sarcastic, scheming and highly metrosexual magazine staffer who taunts Sara Rue's character in the comedy Less Than Perfect (ABC 2002-06). He appeared in 81 episodes of this show. That same year, Levi appeared on the big screen, playing Martin Lawrence's clumsy FBI partner in Big Momma's House 2. After Less than Perfect was canceled, Levi starred in a handful of indie films in 2007. His leading role as Chuck in the television series of the same name established Levi as a small screen hero to the MySpace generation, and also provided the vehicle for him to transition into more feature film projects. He would eventually appear in 91 episodes of Chuck and even directed three episodes. In 2008, Levi starred in Shades of Ray, a romantic comedy about a Pakistani-American man about to get married when his long lost father shows up at his doorstep. That same year, he co-starred with Saturday Night Live (SNL) actor Keenan Thompson in the road trip comedy Wieners then went on to star alongside Brandon Routh in the testosterone-fueled Stuntmen. In 2013, Levi appeared as Fandral in the Marvel movie Thor: The Dark World. He reprised his role 2017's Thor: Ragnarok. In 2019 he starred in the comedy action film Shazam!.